Hanifaru Bay in the Baa Atoll biosphere reserve is undoubtedly one of the top manta ray spots in the Maldives. Some years back it was featured on National Geographic and every year countless tourists visit resorts in that region in hope of swimming with these ocean giants. I feel blessed to have stayed in Baa Atoll for several months and during that time I spoke to many tourists. Guests who are seeking to book resorts close to Hanifaru Bay often asks are the chances of seeing mantas there. Since it is a protected marine area the visits are restricted by Hanifaru Bay Administrative Office located in Dharavandhoo island. There are rangers that monitor conditions, make regulations and monitor the protected manta spot. Tourists or even locals cannot just go there, there are strict rules to follow. Due to high demand from tourist resorts, guesthouses and liveaboards the current practice is that resorts are allowed to send tourists every second day, the other day is for liveaboards and guesthouses. This way the administrative office ensures Hanifaru Bay is not overcrowded with people. Also, the boats should have a licensed Tour Guide who leads the trip, there are specific ways ride boat within the restricted zone in order to ensure mantas are not disturbed and there is no damage the reef. High tide is crucial to see mantas. I have no idea where they live in the low tide. 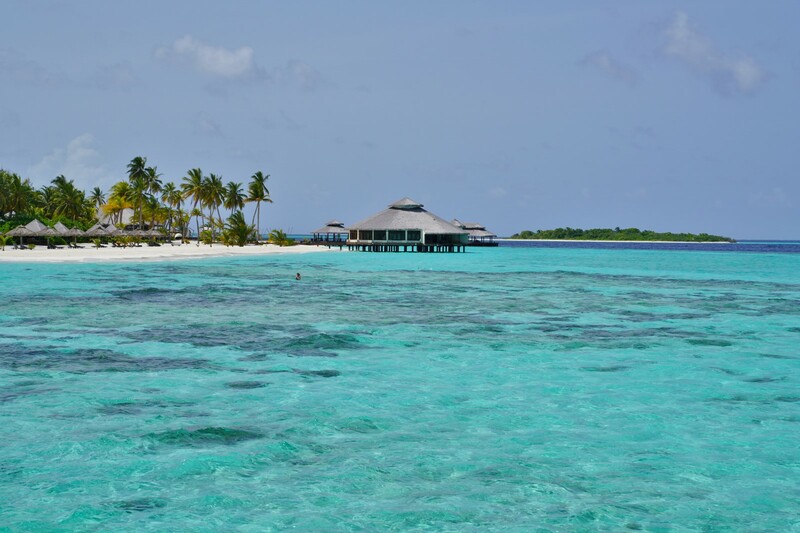 Dive Centres from different resorts monitor tide conditions and take their guests to Hanifaru Bay on high tide. Some resorts send drones before the trip to check mantas are there. The rangers also use their drones monitor the protected areas and ensure their rules are followed by the visitors. If you happen to visit Hanifaru Bay on a normal day you might see a dozen or more manta rays. That’s a usual day. If you see more mantas that means you are very lucky. Not seeing any manta at all is very rare but happens at times. To see two or three mantas means not a good day but you would enjoy the trip, for most guests that is an amazing experience. You might have had manta snorkeling else where in the Maldives. But, Hanifaru Bay is very unique. The best thing here is that you do not have to chase or swim fast to catch up with them. You can stay still in the lagoon and manta rays would come up close and be around. I had seen mantas in many regions of the Maldives, usually you do not see them up close like in Hanifaru Bay and you have to tirelessly keep swimming behind the manta and that is very tiring. 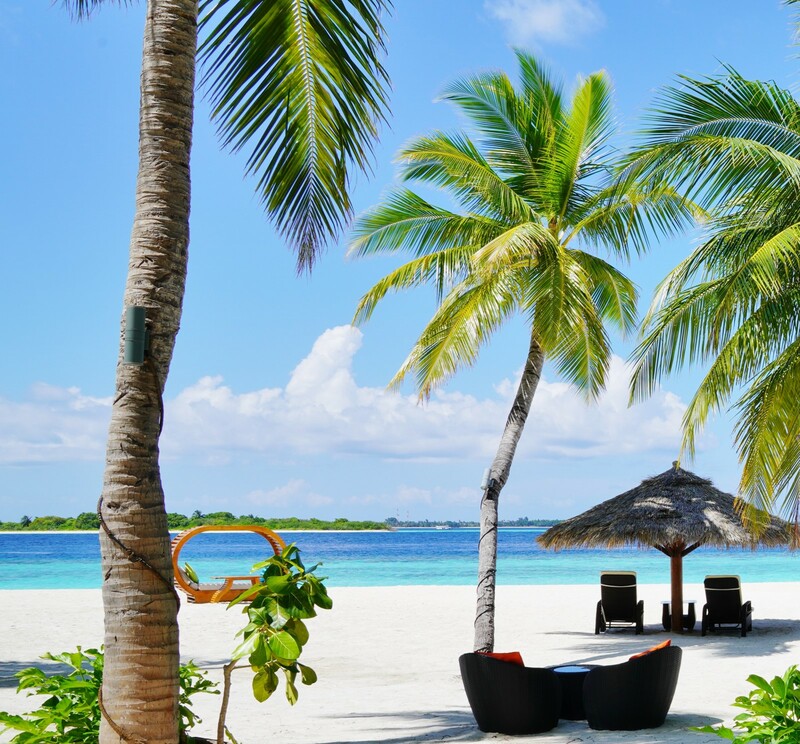 There are many resorts in the Baa Atoll and all of them offer trips to Hanifaru Bay. The closest resorts are: Kihaa Maldives, Dreamland Maldives, Dusit Thani, Amilla Fushi, Royal Island Resort, Soneva Fushi. This is the view from Raaveriya Bar in Kihaa Maldives. When you relax under the palm trees with your favourite cocktail you can’t help but get amazed by the magnificent view. The island in front is Hanifaru and its house reef is called Hanifaru Bay. It takes just 5 minutes to go there. Previous Previous post: Skripal accidentally poisoned himself? Strong clues suggest so.